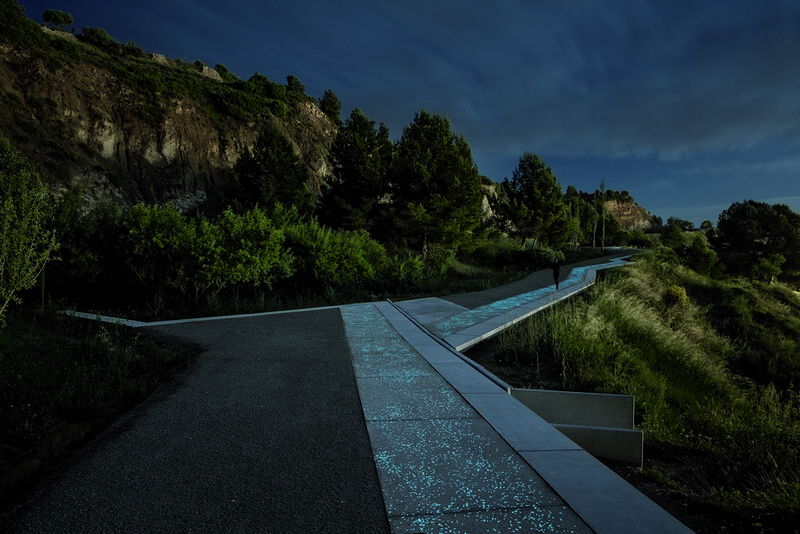 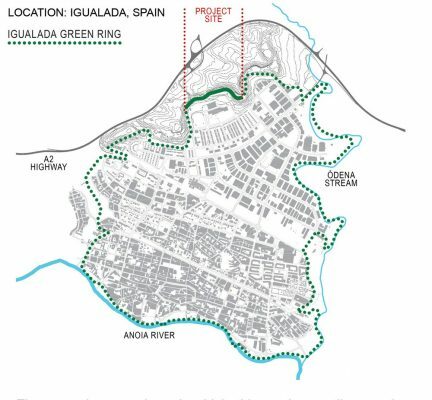 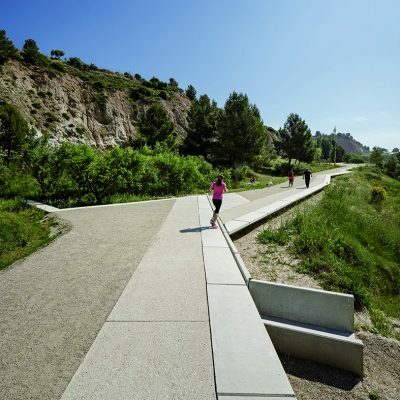 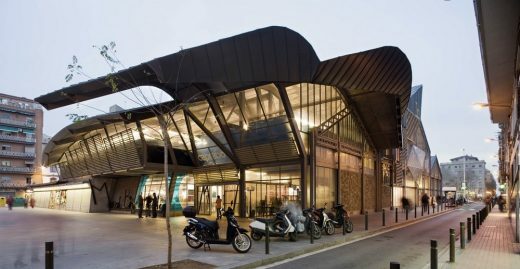 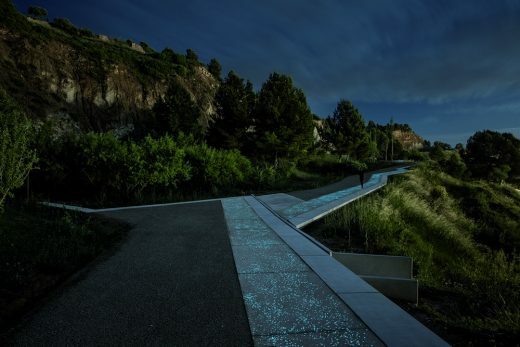 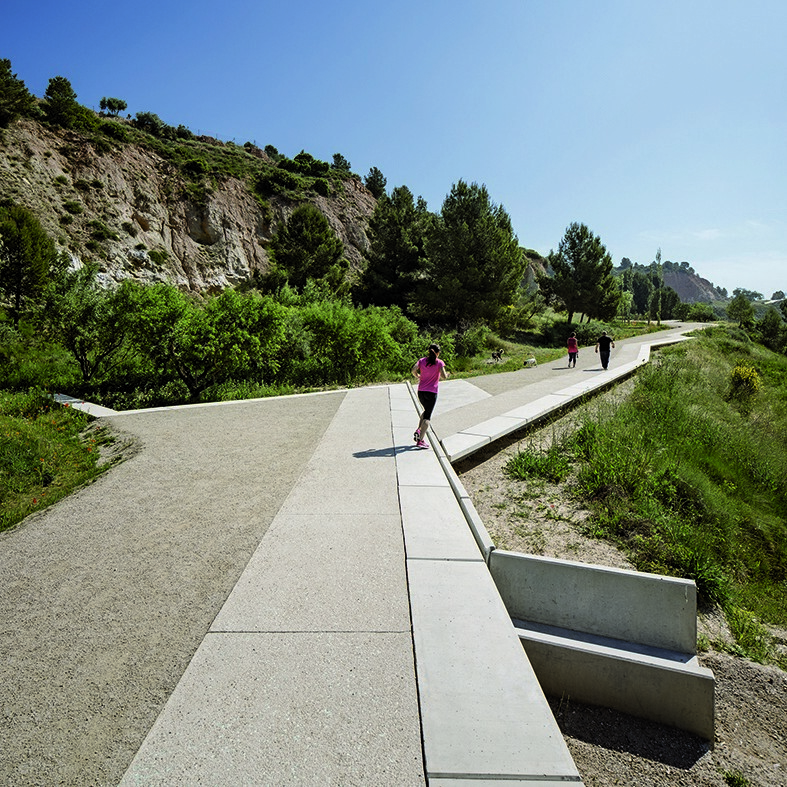 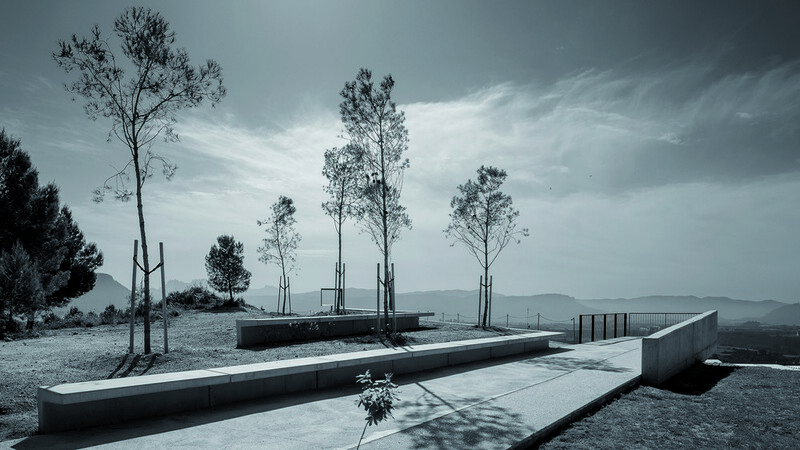 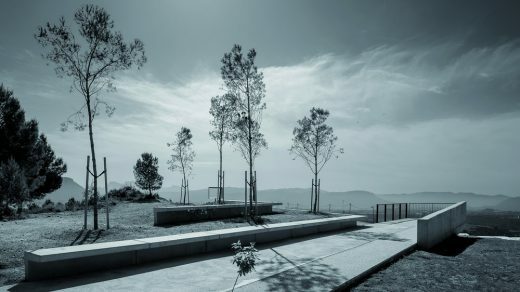 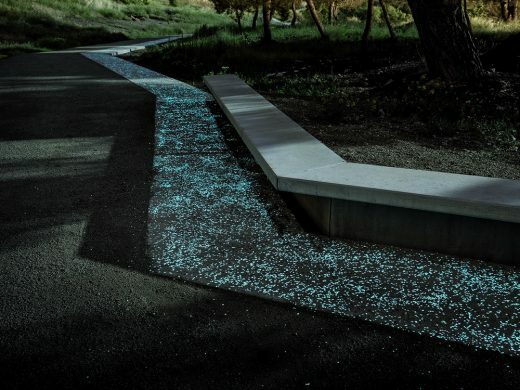 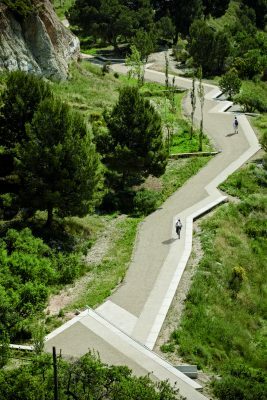 The project is set within the broader scheme of the Igualada Green Ring, the aim of which is to generate a series of itineraries for pedestrians and bicycles in the form of a green belt around the city’s perimeter. 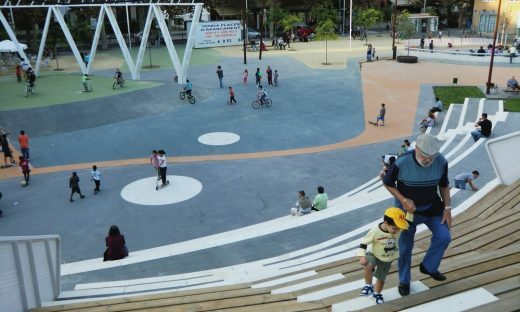 This new sustainable mobility infrastructure sets out to design a system of parks and peri-urban open spaces that function as a network suitable for environmentally friendly leisure activities, adapting and recovering, to a large extent, spaces that are currently run-down or underused. 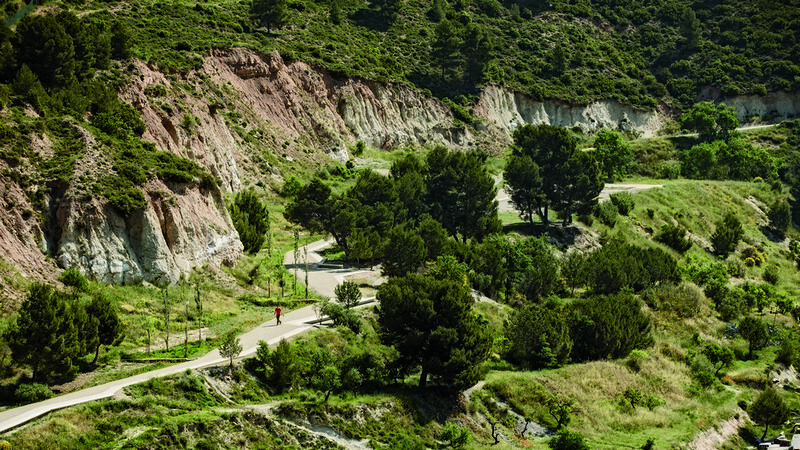 In this context, Camí de les Guixeres, the track leading to the mines, represents the recovery of a stretch of 1.65 kilometres, out of which the first 800 metres have now been completed. 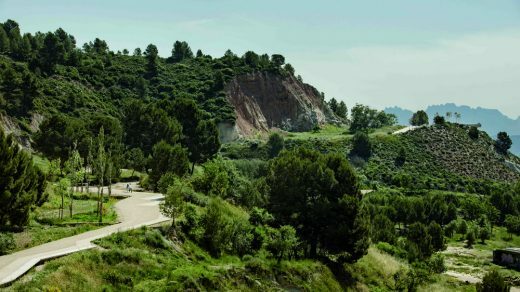 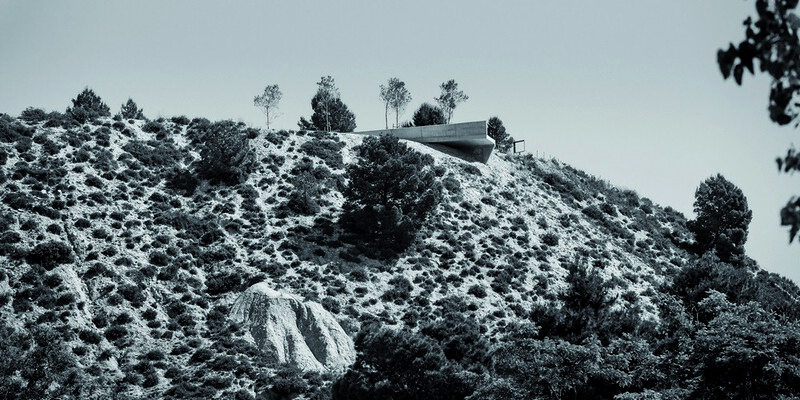 The condition in which the space was left presents various issues: the alteration of the original topography has led to slope failures and landslides due to the loss of superficial vegetation coverage and the absence of runoff control measures. 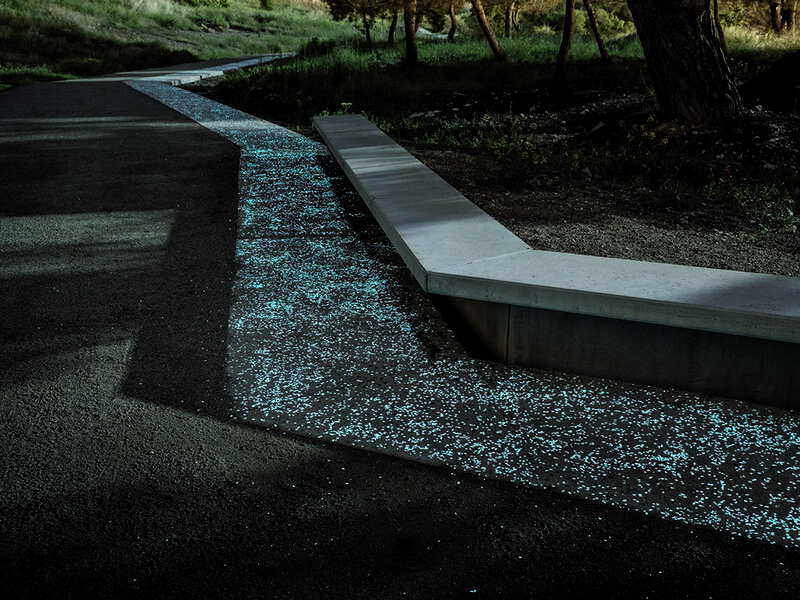 Water accumulates quickly and intensely at certain points, creating progressive damage. 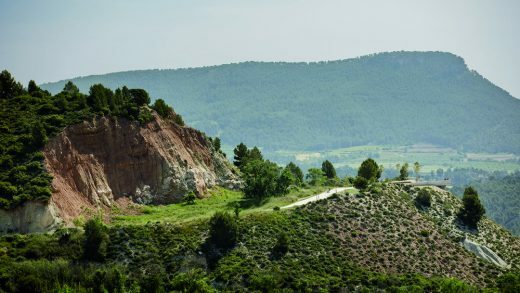 In addition, the rock walls where gypsum was formerly mined present steep unstable slopes and often cause small rock falls. 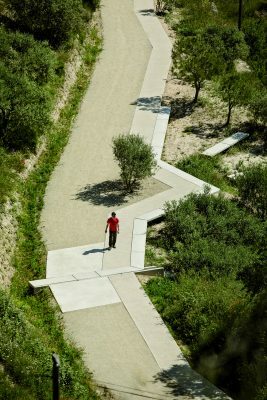 However, despite their run-down state, they also have many possibilities. 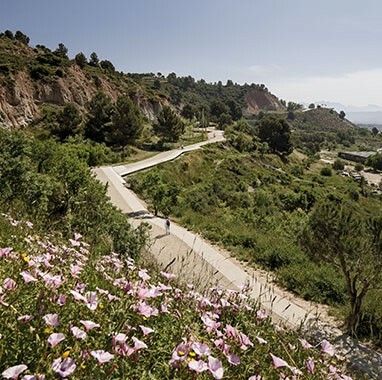 The most obvious is the raised position of the entire itinerary above the city, granting a great potential as a path with a scenic viewpoint, overlooking the city and the mountain of Montserrat. 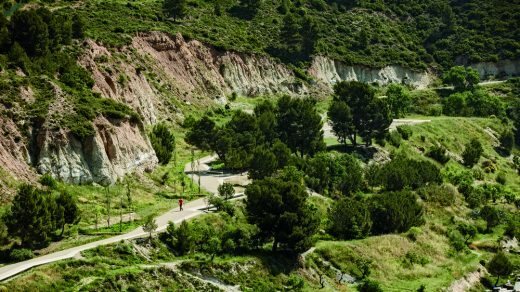 Apart from that, there are still small areas of the original pinewoods that have withstood the various activities carried out on the site. 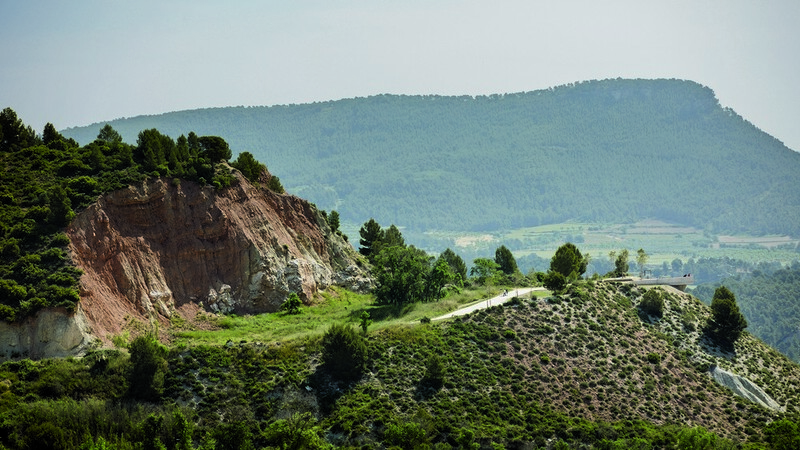 These original vegetation remnants have to be maintained and enhanced. 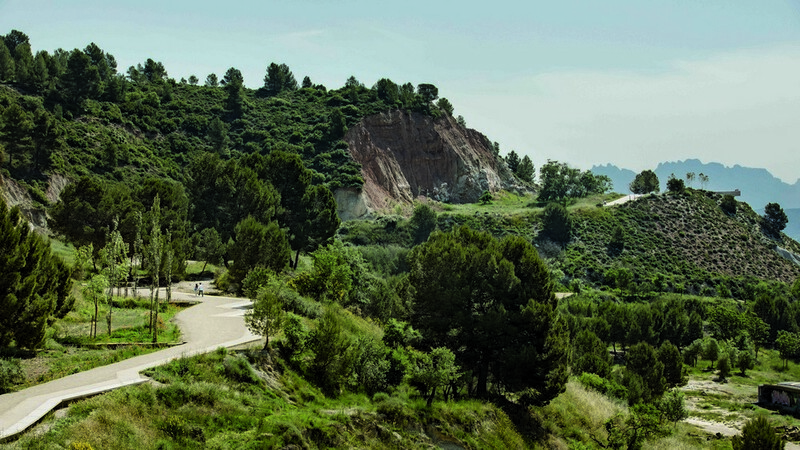 Finally, the complete abandonment of the area gave way to an incipient productive activity that has colonised part of the sector with a plantation of olive and almond trees. The project has two principal objectives: one of them aims for a better connectivity, to ensure the continuity of the city-scale project (Green Ring), and the other ones seeks to recover the landscape and biodiversity, establishing the necessary elements to generate a new dynamic in the site that will gradually improve its environmental conditions by harnessing the water. 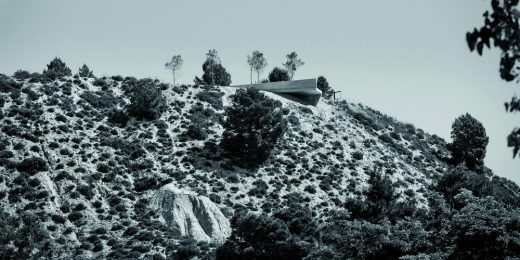 In this sense, the proposal creates a typical section with three clearly differentiated strips that adapt to the different situations of the layout, addressing the problems of the site as well as developing its potential.